Marathon runners proudly display our medals but this medal is not one of them. 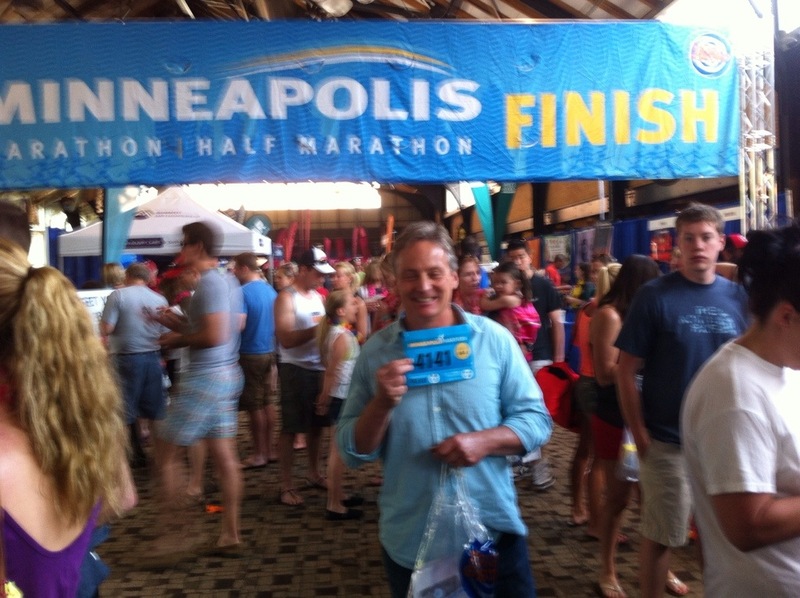 The closest I got to the finish line was at the fake finish banner during the Minneapolis Marathon expo. 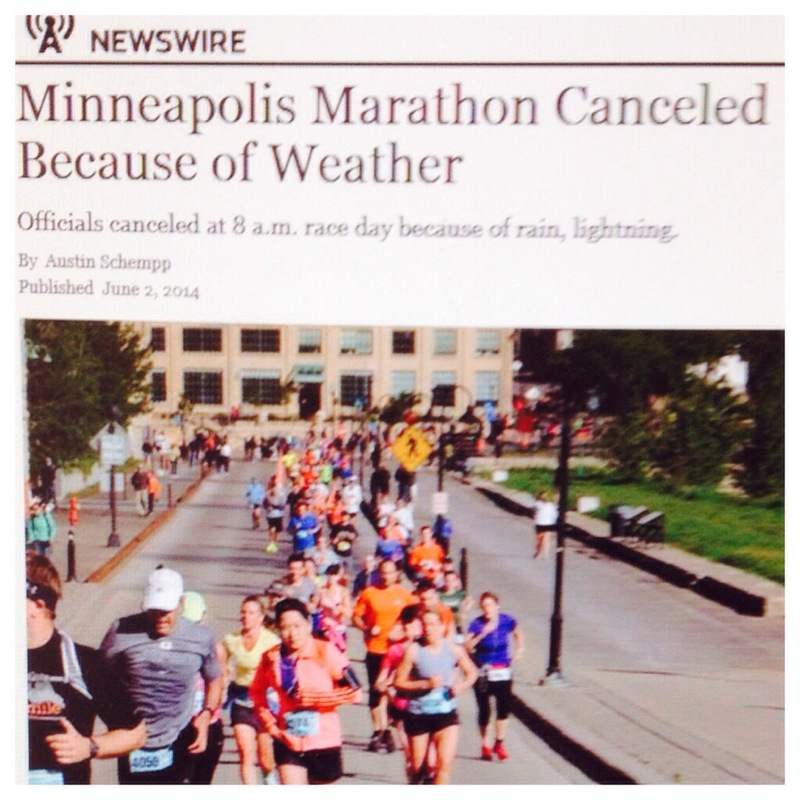 Brace yourself for the tale of the dreaded canceled marathon. The morning of the marathon the rain was very heavy. Hundreds of runners gathered under the covered parking to keep dry from non-stop rain. As the race time approached someone appeared in the middle of the mass and announced the race would be delayed an hour due to technical problems. Whaaaat…???? This was a first for me.This combined with the disorganization of the expo had my spidey senses tingling. Runners have routines to prepare mentally for marathons. As for me my pre-race rituals are very exact perhaps bordering on OCD. All these delays took my running universe out of alignment. Things continued to spiral downward. One and a half hours after the race was to start the dreaded announcement came. Race canceled! No apology, no explanation, worst of all no refund. 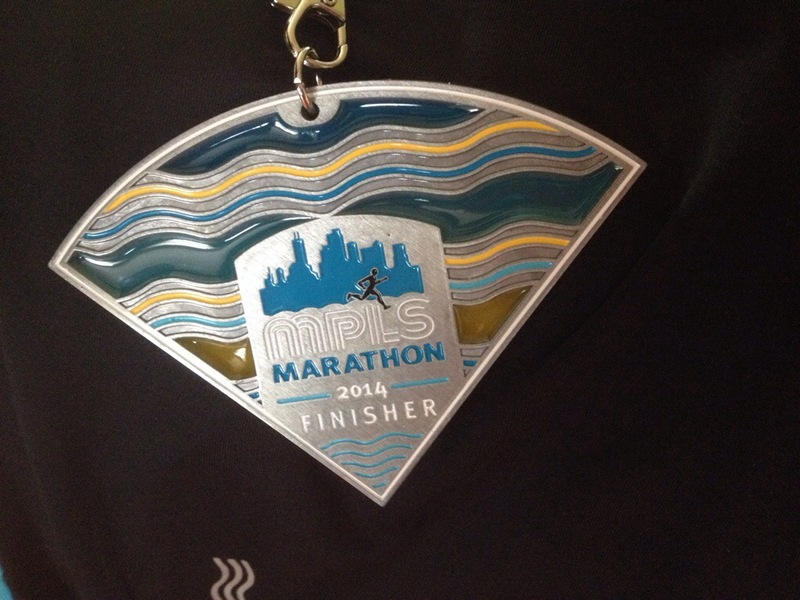 They gave everyone their unfinished finishers medal which I now affectionately call the medal of shame. I felt like I was all dressed up for the prom and my date stood me up. I did not want to go home without a dance so my marathon buddy / traveling companion Blaine and I decided to do a short 5 mile run. I’d be lying if I said I was not mad, me and a thousand other runners. I was afraid the cops might have to do more than race traffic detail. We never really knew what the real reason was behind the cancellation but news attributed the cancellation to weather concerns. 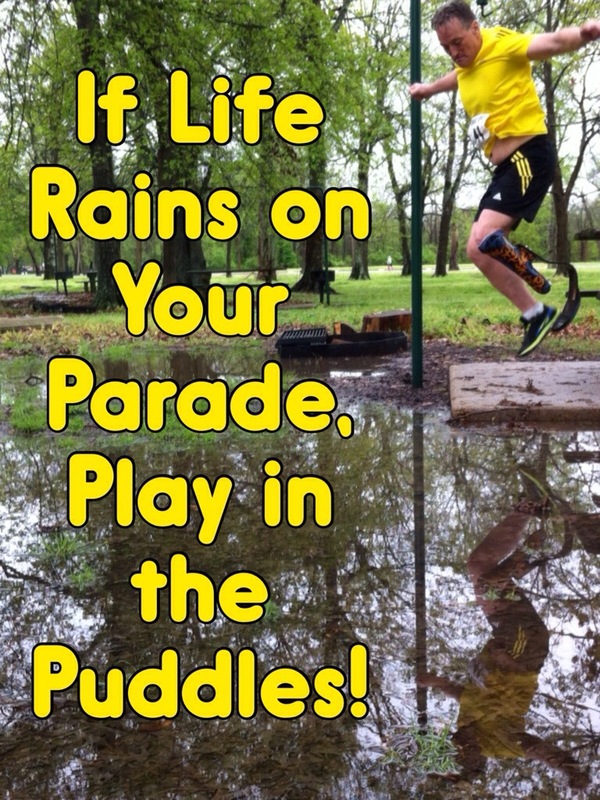 I’ve run in much worse conditions many times. I knew that excuse was bogus. 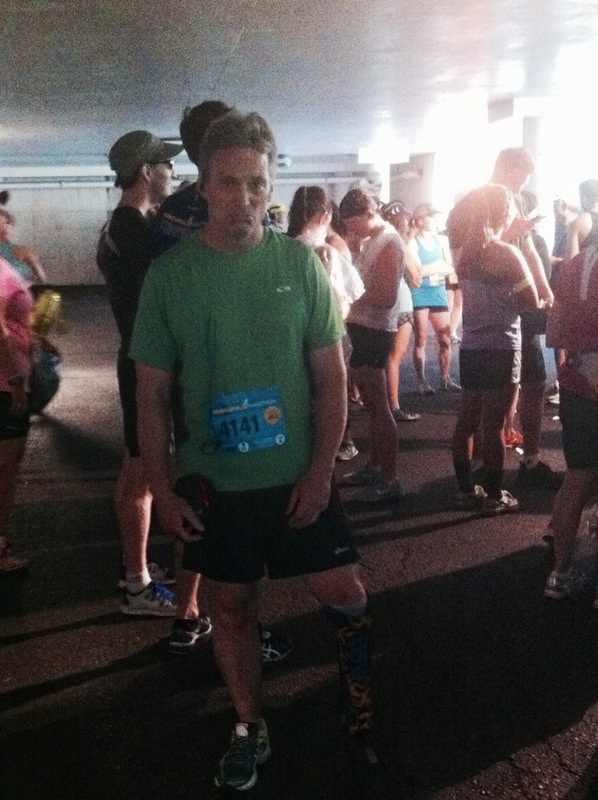 I ran a race in Arkansas where there was a severe weather warning of flash flood. We now had three days until the next race. What to do..??? What to do..??? 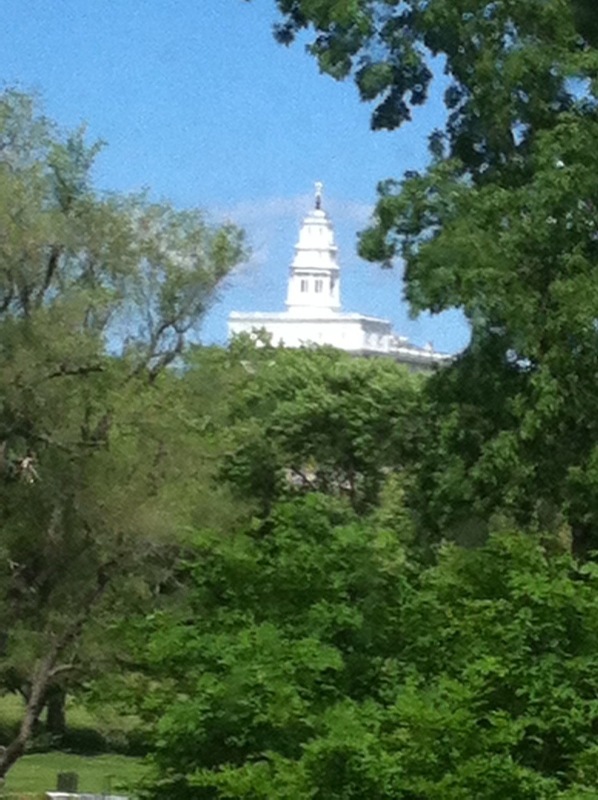 We took a detour to Nauvoo, Illinois. 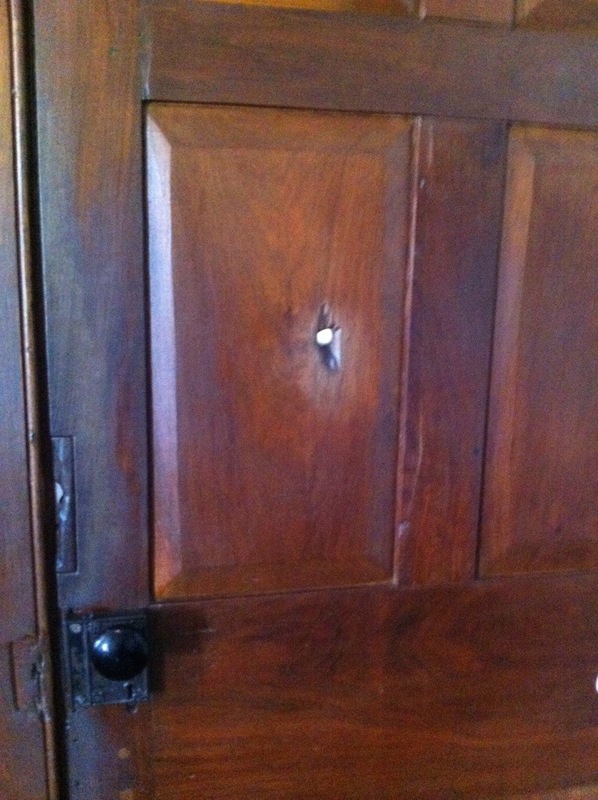 Nauvoo is a very historical place in my church’s history. I’ve never been there before and I didn’t know what to expect. I was very impressed with this sleepy little town along the Mississippi. It was kind of an old time pioneer village like you’d see in an amusement park. The workers in Nauvoo were missionaries and musically talented members from the Church of Jesus Christ of Latter Day Saints. They preformed short musicals about church history throughout the day. The clothes they adorned themselves with were from the 1800’s and they stayed in character through out the day. 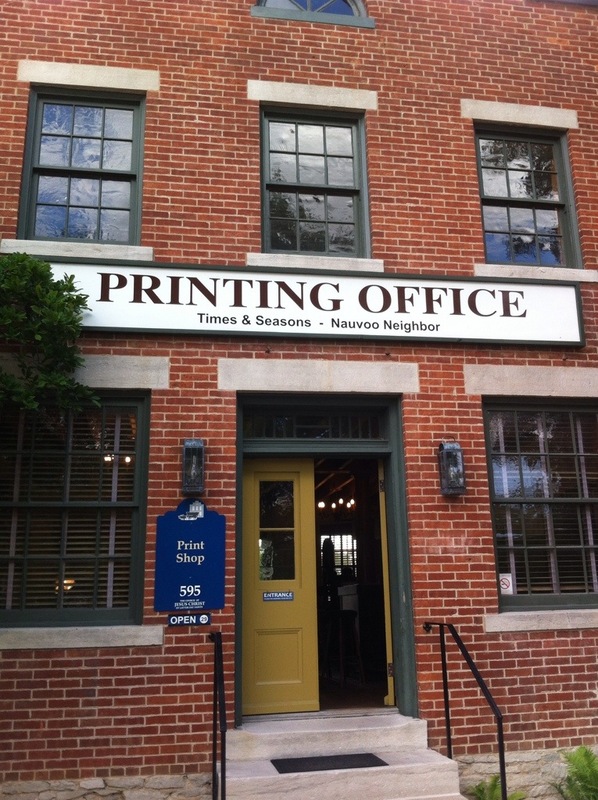 The streets were lined with a working blacksmith, brick shop, bakery, gunsmith, printing press. All the shows and tours were free I might add. It was very cool but I’m glad I did not live back then because I enjoy flush toilets and air conditioning too much. This little detour took up a couple of days and we were back to our main focus our quest to run 5 marathons this week. With the “medal of shame” in hand and a handsome brick from Nauvoo were were off to Niles, Michigan. 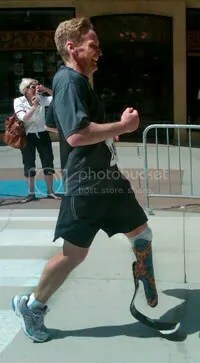 Posted in Marathons, MinnesotaTagged 50 states club, amputee, amputee runners, challenged runners, exerscise, Inspiring People, mental-health, Miineapolis Marathon, moblily impaired, motivation, Nebraska Marathon, one legged runner, overcoming obstaclels, prosthetic leg, prosthetic runners, Tim HurstBookmark the permalink.